Get your Batucada on with a fresh pair of Maple Surdos! 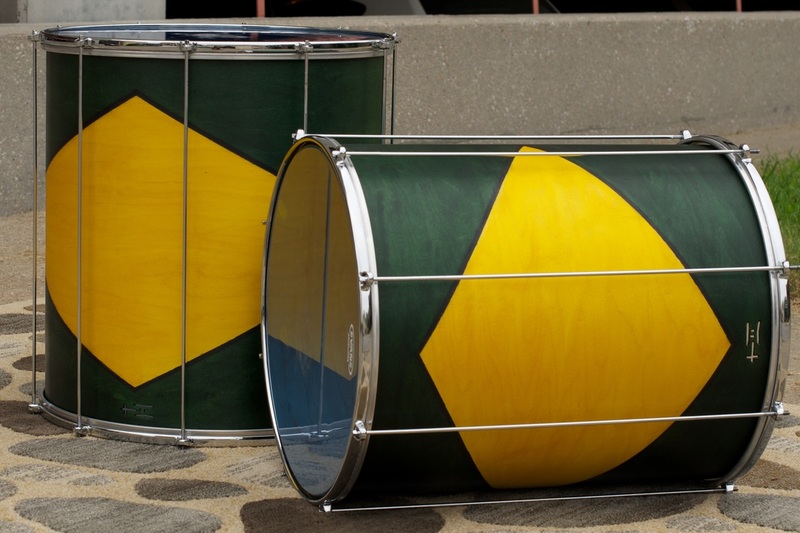 Lead the Bateria or backup a great Samba band with these sturdy, lightweight Surdos. 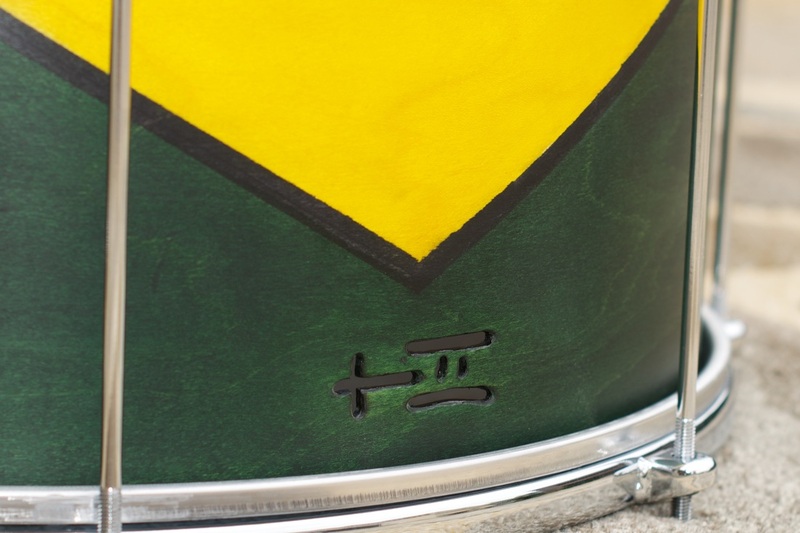 Measuring 22x18 and 22x20, TreeHouse's take on these traditional Brazilian bass drums are light, boomy and fun to play! Check out these two custom-made Surdos sporting our take on the Brazilian flag. These drums feature thick batter heads for boomy lows, and sturdy but lightweight hardware. We all gotta breathe! These two custom-made Surdos have the TreeHouse logo pierced through the shell, which act as air vents for the drums.